I Was There!' 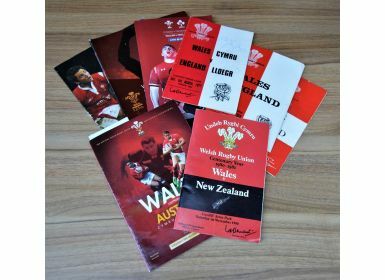 Wales Home Rugby Programme Selection (8): Max Boyce-signed v England 1977, also 1955 (folds) and 1969; v Ireland 2005 (Grand Slam) & 2017; v Scotland 2006; v NZ 1980 (Centenary) & v Australia (with ticket) 2011. 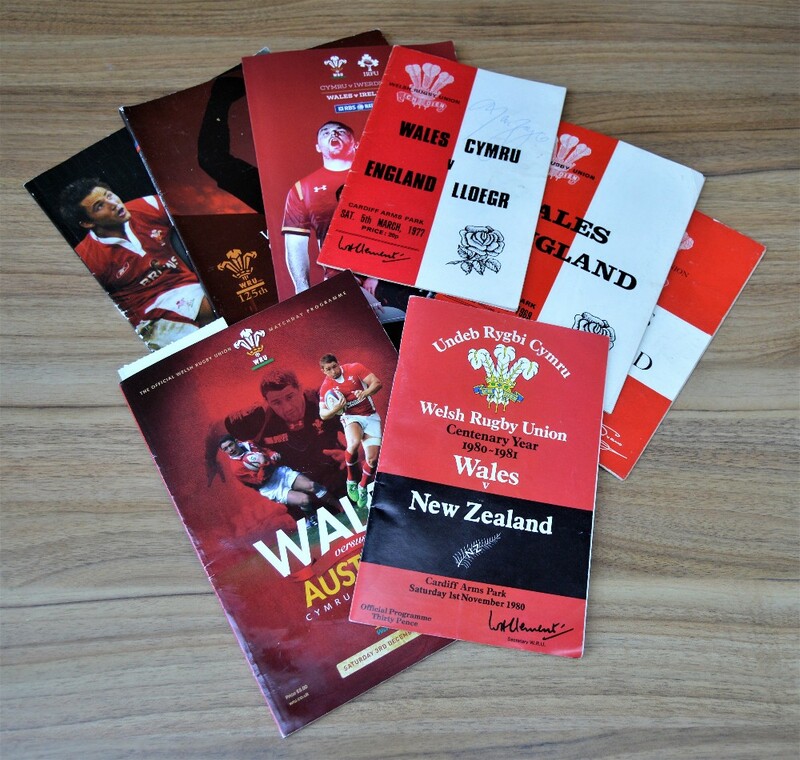 NB: Donated by Peter Owens to be auctioned for the benefit of the WRU Charitable Trust.